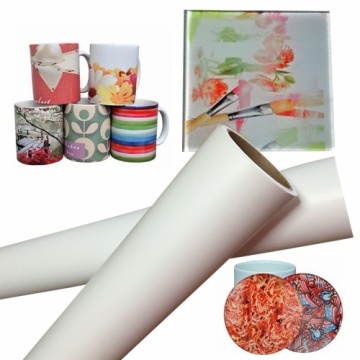 Sublimation Transfer Paper Mainly used for application of chemical fiber fabrics, apparel fabrics , photo banners, flags, ribbon, ceramics, metal, mugs and other areas, it can keep pace with the world-renowned brands in terms of ink absorption, quick drying, curling and transfer rate. 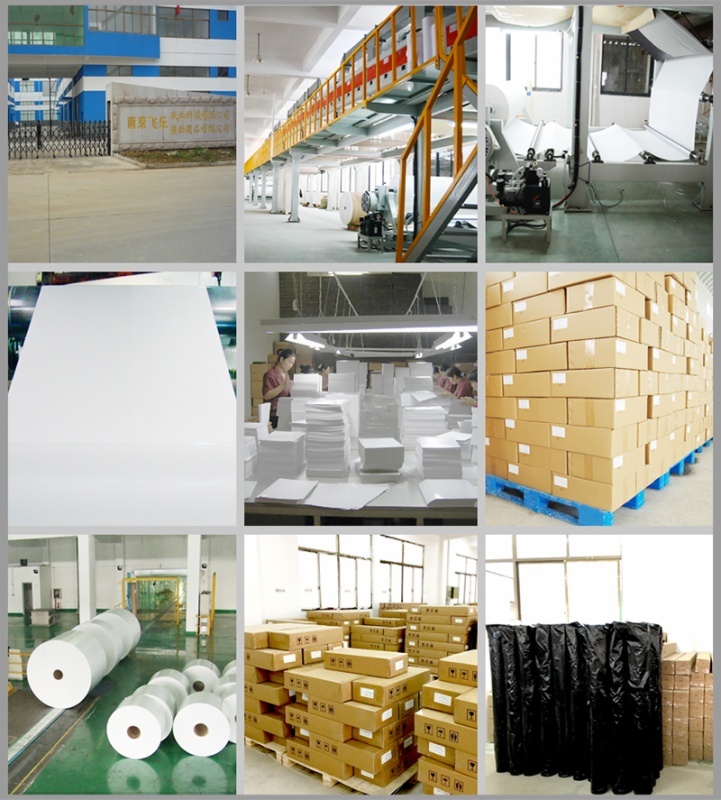 Complete specifications of rolls, common specifications are: 330mm/420mm/610mm/700mm/750mm /800mm/850mm/914mm/980mm/1080mm/1118mm/1500mm/1600mm, special specifications can be customized. Rated:parameters: (1) 95% transfer rate (2) Weight: 100g / m2 ± 2% (3) Humidity: 60% ~ 90% RH. 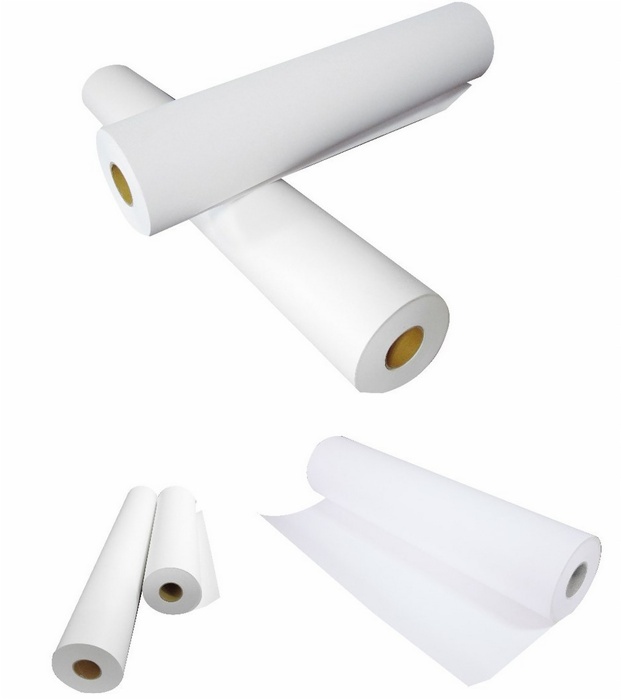 Transfer paper operating instructions: printing the picture , cut and peel the blank part off. Take the photo off slowly Put the photo on the cotton Place a grase proof paper onto the picture. 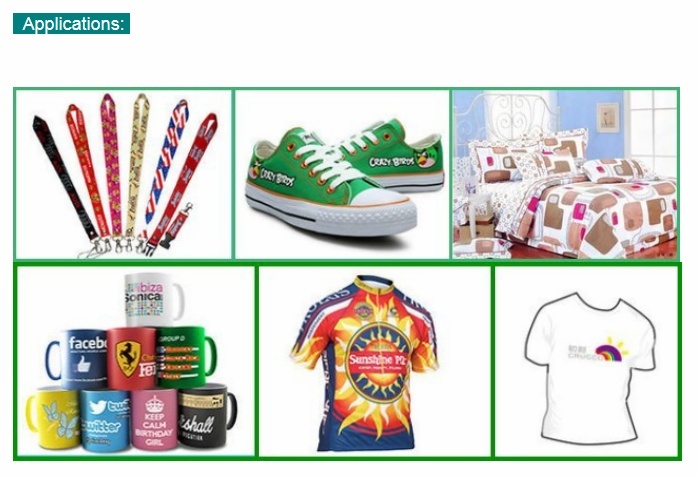 Add a fibric on it . Set heat press machine at 165 degree for 25 seconds.